Royal Ascot chiefs are confident they will see one of the most anticipated clashes in racing history next year with Australian wonder-horse Winx being lined up to face Enable. 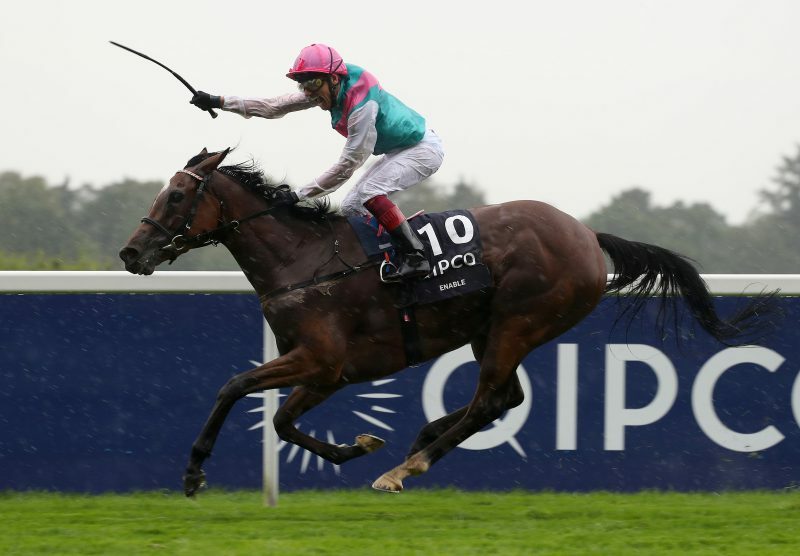 Enable is considered the finest Europe has to offer after sweeping all before her, culminating in a brilliant Prix de l’Arc de Triomphe win at Chantilly earlier this month. And she will be back for next season, a statement issued by Abdullah’s Juddmonte Farms read: “Prince Khalid bin Abdullah is pleased to announce that Enable will stay in training for 2018. Whilst Enable has been doing her thing, six-year-old Winx wrapped up here 21 straight win over the weekend at Flemington. Royal Ascot in now firmly in the mind of Winx’s trainer Chris Waller, with the Queen Anne Stakes and the Prince of Wales’s Stakes the two options, and should he take the latter then that would open up the prospect of facing Enable. “Hugh Bowman (Winx’s jockey) has identified the Queen Anne as the ideal race for here here and that is the logical place for her to go,” explained Ascot director of communications Nick Smith. “But connections may decide they want to tackle the Prince of Wales’s Stakes over 10 furlongs and we are actively promoting both races. If she were to go for the Prince of Wales, that would open an opportunity for a clash with Enable. “Enable is a 12-furlong filly on evidence we have so far, so she’d be stepping out of her comfort zone – but so would Winx as 10 furlongs in Europe could be as far as she wants to go. Waller has already confirmed that Ascot is in their thoughts. “Providing she is well, she will run during The Championships in the Group One Queen Elizabeth Stakes (April 8) and look to target a race during the Royal Ascot carnival or be freshened up subsequent to the George Ryder Stakes and be targeted towards a European campaign containing three races over a range of distances,” he said. Should the two brilliant horses meet in 2018 – Bookmakers are firmly backing the British based filly. BetVictor are odds-on that Enable would triumph at 1/5 with Winx rated at 7/2. Spokesperson Jack Milner: “Enable captured the imagination of the racing public this season and is sure to be well-supported whenever and wherever she runs next term. Odds accurate; 09/10/2017 12:00 am.